The tales of people walking into a Marshalls or Ross and finding a pair long-gone, hyped sneakers for a fraction of their original retail price have become things of lore. Instagram has been littered with stories of coveted shoes being found at these discount stores, and the Fragment x Air Jordan 1s, which have a resale value of around $1,800, recently popped up at Marshalls and set the Internet ablaze. There’s always a bit of skepticism when these sneakers are found at Marshalls, mainly because everyone is in disbelief. Included in that bunch is Victor Cruz, who found an unreleased version of his own signature Nike sneaker at the retailer this past year. To figure out how this process works, we spoke to Kwabena Richard Leibel, who worked at Marshalls from 2008 to 2012 in the highest capacity as an Associate Planner, meaning he allocated all of the brands sneakers to its numerous storefronts. Here’s what he had to say. How does Marshalls get the sneakers? When Marshalls goes to Nike, they’ll have an offer on the table and say, “We have hundreds of thousands of units of last-season goods.” They can be anything from RTVs [when retailers sell sneakers back to the footwear brands], vendors not being able to pay their accounts, or stuff that was late for a release from the factory and didn’t make it to the stores on time. Nike presents Marshalls or TJ Maxx with an Excel spreadsheet that has different tabs depending on the category: Retro Basketball or Running. The tab will tell you what the description and style number of the shoe is, what sizes are available, what the retail was, and what price they’re offering it for. Marshalls is on the hunt for labels, they don’t care what the product is. They’ll buy cleats, whatever, they just want Nike in the store because it brings in customers. They try to mark the shoe up 100 percent. If they buy it for $30, they try to sell it for $60. They don’t have employees that have the insight into the footwear market, whether it’s retail or resale. They recruit kids from college and promote them from within to different departments. They might not know that a [Nike] Foamposite will sell better in the Washington, D.C., area. They work their way up to buyer, but they might not have any experience in footwear and might not know that they’re sitting on 100 pairs of Fragment x Air Jordan 1s. They just know that they’re buying Nike and can fit it into their buy plan for the current season. Do the stores know what product they have in stock? Everyone on the store level at Marshalls is there to make sure the goods get out on the floor. The employees might be individually aware of certain products, but they’re not aware of how the system allocates the goods. The system they use is made to be autonomous. Certain groups of stores need a specific amount of product on the floor. When those goods pop up on the screen from the distribution centers, the system automatically distributes those goods. Then once those goods reach the stores, the employees are told when they need to put them on the floor. If they’re having a footwear event on a certain date, there will be a sticker on the box that says to not open it until then. They put everything on the floor. There’s no backstock, there’s no way to know if there’s a different size at another store. The only way they’d be able to find out if another store has a particular sneaker is if they call the corporate office, deal with the person who’s allocating those goods, give them the Marshalls style number, and see if it’s at a particular store. If the Fragment 1s were on the order sheet as “Retro Basketball,” each one of the shoes on there would have the same SKU [stock keeping unit]. If you had the Fragment 1s and an Air Jordan IV on the same order, they’d have the same SKU, unless the person who ordered the shoes put them in differently. It might be listed as Men’s Jordans, Women’s Jordans, they even have SKUs for big sizes. A lot of the time with these bulk buys they don’t get complete size runs. They’ll get whatever’s left. Marshalls might buy 100 pairs of size 13, 14, and 15 baseball cleats, because that’s what’s left over. Most vendors won’t order those sizes because they end up on markdowns. Nike’s already made these shoes, and the vendors don’t buy them, so they end up at Marshalls. Unless you’re the person allocating the shoes and doing it manually, there’s no rhyme or reason on how shoes end up at certain stores. 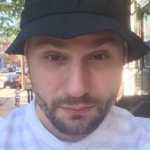 How did the Fragment x Air Jordan 1s end up in a Marshalls? If I had to guess, it was probably a late shipment. They’re not B grades. They’re not fakes. It’s all A-grade stuff. It’s all made to sell in stores. It was either a late shipment or a lost container that they found later on. A store might not have been up to pick up their order. Stores have to pay for the sneakers within 30 days of getting them. If something’s past due, their order might still be in the warehouse, and it becomes part of the bulk buy from Marshalls. 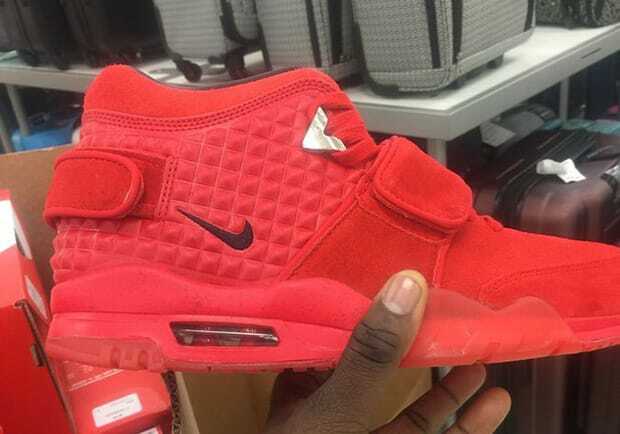 How do you think the “Red October” Nike Air Trainer Cruz ended up at Marshalls? The shoes that went to Marshalls were slated to go to Eastbay. There’s a tag on that shoe that says “EAS” for Eastbay. I don’t know what happened, as far as Nike saying they weren’t going to sell them or there were quality issues. Nike will go to a vendor and say, “Hey, we’re planning on not selling this shoe, do you want to buy it?” They’ll make an X amount of pairs, whether it was quality issues or a late shipment, it didn’t go to Eastbay. It ended up in a bulk buy at Marshalls. But my best guess was a quality issue. The reds were all different colors. What’s the rarest sneakers you saw during your time at Marshalls? South Beach LeBron 8s. The Red Carpet LeBron 7s. I personally bought Air Max 2009s for $40. The LeBron 6s popped up in the Miami colorway. Did you see a lot of resellers? Stores would get requests from people shopping at the store, and the stores would call us. It would happen all the time. What’s the odds you’re going to find sneaker heat at Marshalls? You can find general heat. You can find a $150 shoe for $50. The bulk buys are so varied you’ll find something. The Fragment 1s were a real rarity. They didn’t have more than 50 to 100 pairs, and that’s being generous. It wouldn’t be a lot of sizes. But if you’re looking for a LeBron sneaker, you’ll find it at your run-of-the-mill Marshalls for $60. What’s the possibility of a Yeezy popping up at Marshalls? It can happen. With things like that, it would have to be on Adidas to filter out those goods on their bulk buys. If they can’t sell it through their own outlets, they’ll send it to Marshalls, Ross, or TJ Maxx. Unless they’re being vigilant on saying they don’t want that SKU to be there, they have to take it out themselves. There’s a 50/50 chance it happens. If it does happen, there wouldn’t be more 15 or 20 pairs. It’s like finding a needle in a haystack. I saw a pic of two pairs of the recent “Space Jams” pop up at a Marshalls in Puerto Rico, but they were size 15s. How do you think restocks happen? They are probably goods that may have come in late or they bought them back from someone or someone didn’t pay their bill. Those are late goods. Why do you think it’s size 16, 17, or 18? They produce shoes that they know only a certain percentage are going to make it on time. They were genius in calling it “restocks.” They knew the shipping was going to be late, since it’s done through the water. It could be late three weeks, then they hold it for a restock or sell it to Eastbay for them to do a restock. They just want higher sell-through quantities. If you make any amount of goods, why would you hold them and sell half when you know you could sell them all up front?